Facebook Post By Albany County Sheriff Craig D Apple Sr.
"Thank you Colonie Elks lodge 2192 for recognizing our Officer John Smith. John was our recipient this year at the annual Elks Breakfast. in 1995 Johns grandson was attacked by a dog, and sustained serious injuries. Unfortunately his grandson passed away a year later. John then became determined to help other children in need and started the Albany County Correctional Facility Children's Benefit. Over the past 20 years John and his volunteers (mostly employees) have raised over $750,000.00. They have replaced a roof on the home of a sick child, built ramps for children in wheel chairs, donated equipment to pediatric units, and the list goes on. Now with Johnny having 30 years service and his retirement nearing he has decided to pass the torch. John I can't thank you enough, and this recognition is just a small token of our appreciation. There is a lot of great stuff going on in the department because of the great staff we have!" Albany County Sheriff Craig D Apple Sr.
Ann Murphy pictured with John Smith Receives Albany County Executive's 2016 Volunteer Award for her work with Sa'fyre Terry, the only child to survive a ferocious house fire in Schenectady, NY during the early morning hours of May 2, 2013 that claimed the lives of three of her siblings and her father. Congratulations Ann!! Barbara McMullen, ACCFCB's 2nd VP received our 'Volunteer Appreciation Award' at our 9th annual "Teed off for Tots' golf event. GIFD Assistant Chief Matt Lansing presents Daniel Dingley firefighter gear at the 7th annual ACCF for Children's Benefit's 'Teed off for Tots' golf event held on Friday, June 24, 2011. Daniel was also honored with ACCFCB's 'Courage Award'. Congratulations Daniel! We also Congratulate the GIFD & Empire Ambulance Service for rescuing and resusitating Daniel after being trapped in a house fire on April 2nd, 2010 (Good Friday). 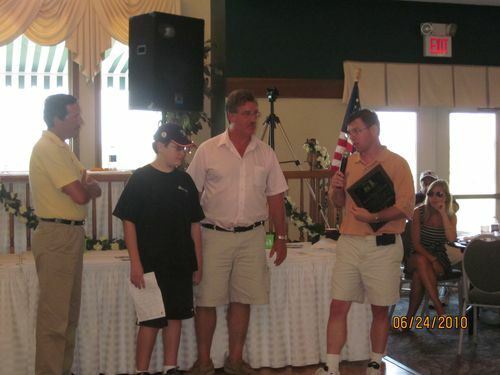 L to R: Uncle Bill, Buddy LaFontaine age 14- 2010 Courage Award Recipient, Dad Matt & John Smith ACCFCB President. In Grateful Recognition of Lieutenant James Karam of the Rensselaer County Sheriff’s Office For your Outstanding and Dedicated Volunteer effort assisting families of seriously ill children on behalf of our children’s foundation. You were instrumental in helping the families of Connor Moran and Aiden Torres. We are pleased to recognize your extraordinary effort and proud to say that you are part of our team! 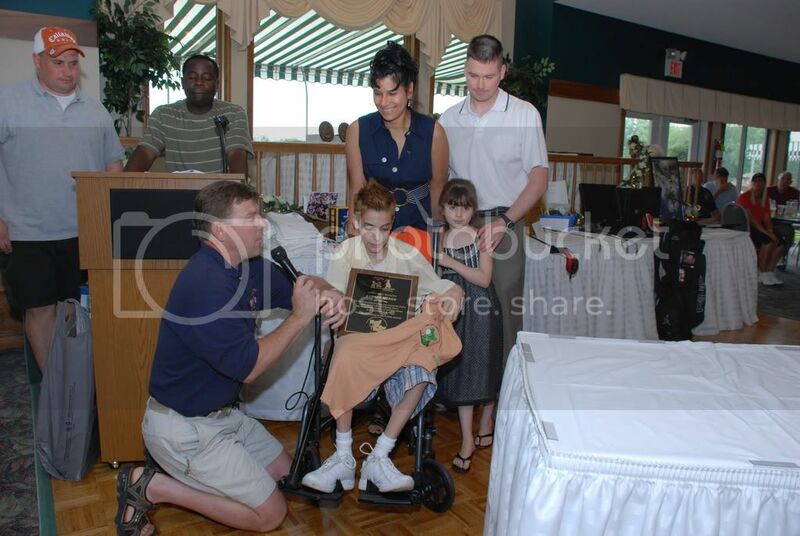 Jeffrey Driscoll age 13 (Center) receives ACCFCB's 2009 annual "Courage Award" at the 5th annual "Teed Off For Tot's" Golf Classic Event. Pictured L to R: 2nd VP Barb McMullen, Secretary Tammy Criscone, Jeffrey age 13, Jeff's mom Tina Driscoll, President John Smith. Correction Officer Jeffrey Dinuzzo was recognized for his extraordinary effort in raising awareness and funding for our children’s foundation. The Albany County Employee Payroll Donation campaign saw the most pledges ever in 2009 due to his drive and determination. We are forever grateful to him for making a huge difference in our mission to help seriously ill children. Thank You Jeff! Pictured L to R: President John Smith, Jeffrey DiNuzzo and 1st Trustee & Golf Chairman John Wojcik. Connor Moran age 16 who lives in Wynantskill received ACCFCB's annual “COURAGE AWARD” at our 4th annual “Teed Off For Tots” Golf Classic. He was diagnosed with Crohn’s Disease and Osteoporosis at the tender age of 12. He has endured bowel resection surgery, 3 ½ feet of his intestine was removed. Due to his illness he is being tutored at home. Connor said this is very difficult because he is away from his friends. Connor feels locked up in his body, but he is happy to be alive. In his own words- "I am a survivor and won't give up." Mom tells us that Connor is a very caring and sensitive child. She worries that he’s lost 4 years of his childhood; He is a wonderful "Big Brother" to his younger sister, Kirsten. He enjoys video games, computers, drawing Cartoons, and origami. Hunter Sanchez is a 5th grader @ Maple Hill Middle School. At the age of 8 he complained of leg pain, Doctors diagnosed Bi-Lateral Legg-Calve Perthes Disease, (a rare disease that causes bone death in the ball of both hips due to a lack of blood flow). He went from being a very active child to confinement in a wheelchair. 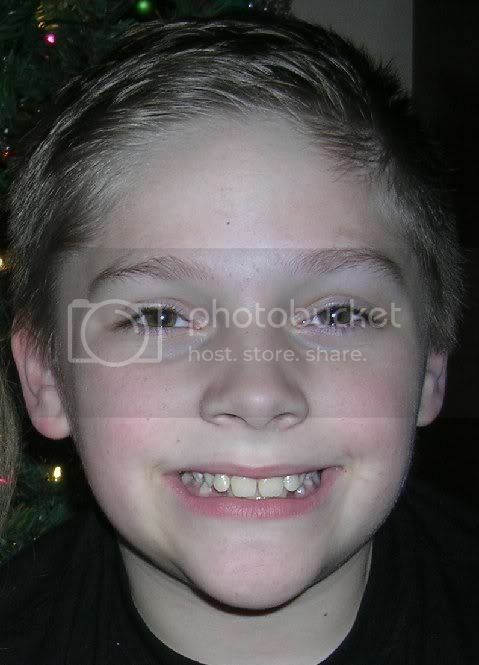 Hunter had surgery in January 2007 and spent 5 months recovering @ Sinai Hosp in Baltimore, Maryland. He was finally able to come home in May to face a year long extensive Physical Therapy regiment. Hunter was fortunately cleared just last week by his Doctors to go into a leg brace part time. He is now working on walking on his own accord. Hunter has dealt with a great deal of pain and uncertainty over the last year and still has quite a bumpy road ahead of him. His goal has been to keep up with his school work so that he could stay in grade with his fellow classmates. ACCF for Children's Benefit (ACCFCB) supported Hunter and his family during their extended stay in Maryland. ACCFCB will highlight the tremendous courage Hunter has displayed during his long ordeal @ our 3rd Annual "Teed Off For Tots" Golf Event awards ceremony today, Friday, July 6, 2007 @ ~ 3:30 PM. Hunter's mom, Noelle plans to say a few words at the ceremony in the banquet hall at the Fairways of Halfmoon golf Course located at 17 Johnson Road in Mechanicville. ACCFCB proudly presented Alexandrea Howlan a Courage Award plaque at our 2nd annual "Teed Off For Tots" golf event held on July 7, 2006. This award was for showing us the true meaning of courage, strength and friendship while facing one of life’s most difficult challenges. Click here to access the picture gallery. ACCF for Children's Benefit honored Mr. Charles Fawcett of Green Island, with an "Outstanding Citizen" award. Mr Fawcett arranged for the immediate boarding on a flight destined to Albany, NY for parents who suddenly lost their precious little boy in a tragic accident while vacationing with their family in Florida. Suzanne MacDaniel, then our 2nd Vice President- for her extraordinary effort that she continues to this day for all of our fundraising efforts- she is incredible! Frank Commisso, ACCFCB Board Of Director's, Committee of The Majority, Democratic Majority Leader of the Albany County Legislature- made it possible for ACCFCB to complete the Albany Medical Center Children's Hospital entertainment room rehab on the PICU (7th floor). He garnered a very generous $25,000 donation from Mr Marty Silverman to help seriously ill children during their recovery in the hospital. ER Spada, President of digital-Page Printing in Albany was recognized by ACCFCB for his generosity in donating thousands of dollars of printed material for all of our fundraisers. The savings in these expenses goes directly to support the seriously ill children around Albany, New York's Capital Region. Awards keep people in check and ensure that they improve their performance. This blog has been so encouraging and I am sure many people get inspired by the many awards that are offered to outstanding people. Thanks for recognizing other people’s efforts. "To do great work a man must be very idle as well as very industrious." I loved it! I am sure that many other readers also will like this article, was exactly what I was looking for long blogs are my way of solving problems. I appreciate the opportunity to read it. A pleasure for me to say hello. My name is Evan, the only thing I want is to congratulate the creators of this blog, first for having taken the time and desire necessary, and second because she left me fascinated by this reading, a long time I had the opportunity to read such interesting articles. Thank you very much for allowing me to tell. The secret of being miserable is to have leisure to bother about whether you are happy or not . of neglect,patient of reproach, and bide his own time,happy enough if he can satisfy himdelf alone that thia day he has seen something truly.Do you understand? In case you meet with some hard situation, you must try to overcome it without any hesitation .willpower is essential to happiness.